A few months ago I wondered when it became acceptable for people to be late to everything. 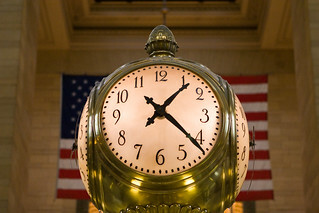 Poor timekeeping is such a pet peeve for me, probably because I work in an industry where time is extremely important. When someone is late, it makes me feel like my time isn’t valued. I admit, sometimes I feel guilty for judging these latecomers, it’s not always their fault. We all forget sometimes or get stuck in traffic. But rather than just accepting the problem and moving on, we could all be better off by making the extra effort to be on time. https://listproducer.com/wp-content/uploads/2017/05/ListproducerLogo.png 0 0 Paula Rizzo https://listproducer.com/wp-content/uploads/2017/05/ListproducerLogo.png Paula Rizzo2014-07-01 16:39:522016-05-03 18:05:21Never Miss an Appointment Again! I have a productivity tip that will help you save time, your sanity and make sure you arrive stress free to dinners, meetings, phone calls and appointments. The way to do this is to prepare and think ahead. Whenever I make plans for anything I instantly import them into my digital calendar. 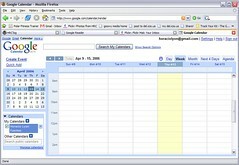 I use Outlook for work and Google Calendar for home stuff. As soon as I make the appointment I type in the time, date and how I will get there. I make sure to do this right then and there so I don’t forget. If I move on to something else I’m sure to get wrapped up in that other project and might not remember what I’ve committed to do. So I put in all the pertinent information and figure out how exactly I’m getting there. If I’m taking the subway, walking or driving I make sure to get directions and include them in my calendar notes. Then I set the reminder alarm for however long I think it will take me to get there plus 15 minutes. Sometimes you need a little time to get ready to go if you are doing something else. So I add in this extra pad for myself. When I’m ready to leave , I just glance down at the directions I’ve already laid out — and I go. It’s a great system for arriving on time and unstressed.